We began Great Expectation in 2002, working nights and weekends building the site. We began at first with women's lingerie, traveling to New York many times a year on buying trips. In 2004 I left the corporate world to concentrate solely on the website and my customers. We opened our first store in 2004 in Trumbull, CT and enjoyed our time there with our many customers in a busy center. As more and more women were asking for clothing, we then added clothing to the store. As we added clothing, we decided to offer our online customers a place exclusively for our clothing and we started TodaysClothing.com. In 2011, Great Expectation turned into Great Expectation LLC. In 2013, Today's Clothing became a registered trademark! 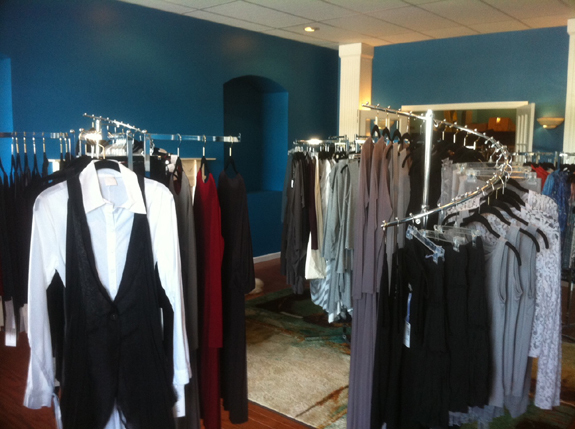 In 2012 we moved to Woodbridge, CT. We fell in love with the store space, with four and a half rooms and two fireplaces! We totally redid the space in lovely shades of peacock blue. We have always concentrated on women's clothing that flatters, is feminine, extremely comfortable and is easy care. We travel to New York about eight times a year to select hard to find clothing collections. We have added a lot to the store since we took the larger space. We have purchased for our customers many handbags lines, we've added shoes and more comfortable clothing lines.